Introducing the MP41 Motorised Curtain Pole. 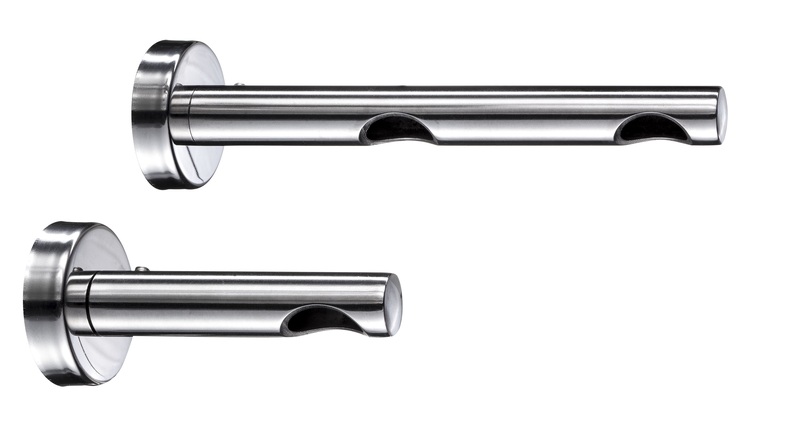 Using the latest technology the MP41 Curtain pole system compliments any home whilst retaining the look of a Traditional Curtain Pole. Versatile in application, it can be used with either normal, wave or eyelet Curtains. Quiet,DC motor,compact and unique design motor halting with over loading. Durable textile belt system, easy to install. 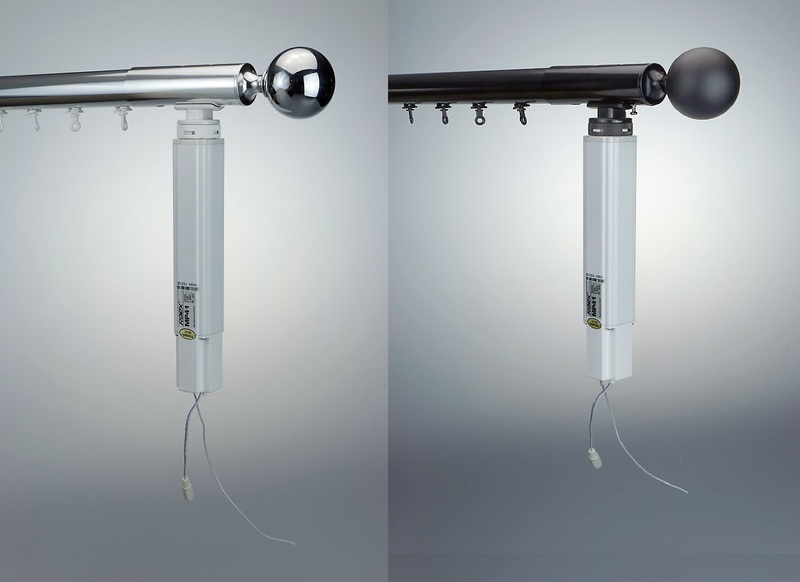 What are the benefits of an Electric Curtain Pole? The M -Rail range of electrically operated Curtain Pole systems come as standard with a 35mm diameter Pole, keeping the aesthetics’ of the traditional Poles while incorporating modern functionality. It was designed to function with the proficiency of the electric curtain tracks but using a more stylish and sophisticated design. Operated by remote control, either as a hand-held device or wall mounted switch, the system offers that extra bit of luxury that is becoming ever more important with modern day living. We have considered each aspect of making this a simple to use and easy to install Electric Curtain Pole system for the home. It can be wired into the mains via a fused spur or plugged in to a 3-pin socket as a simple plug and play system. 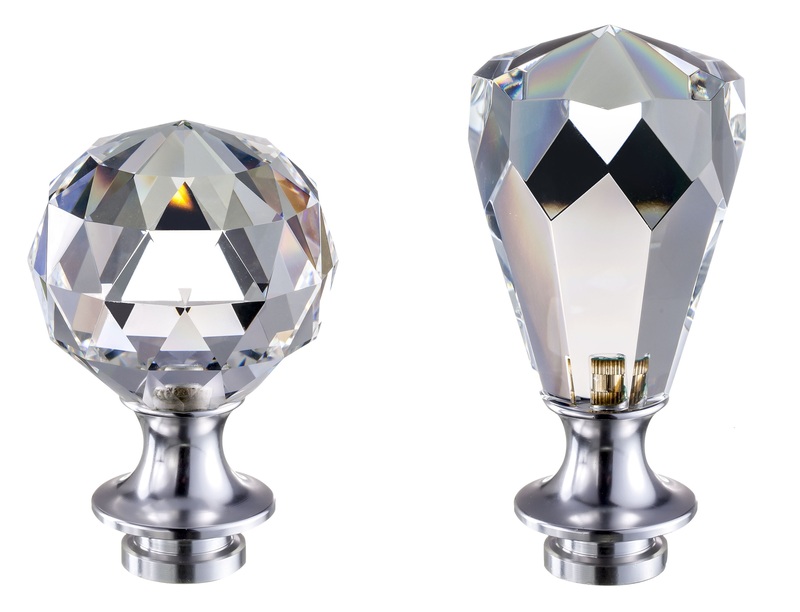 There are several choices of Finials from Crystal to plain ball or even just a capped end to give it that modern look. M – Rail comes as a series of options to cover all requirements and applications. We have the Battery option - MP43L which is designed to work into locations where there is no power. Battery power has become so advanced that this system would give any mains powered systems a run for its money. The battery is very easily detached to be taken away to recharge or you can include a solar panel to extend the life between charges. The MP46 is a 240V mains power system which can plug straight into a socket using the supplied 3 pin plug or can be terminated in a fused spur. The MP43 is a low voltage system which uses 24V DC. All options are radio control and have an RJ11 socket to connect to a Home Automation system allowing you to control the Curtains from anywhere in the world with your Phone Ipad or Laptop. With the built-in Timer function on the YR2016 remote control you can also set up an open and close time whether you are at work or on holiday giving you that little bit of peace of mind the your home looks occupied where ever you are.